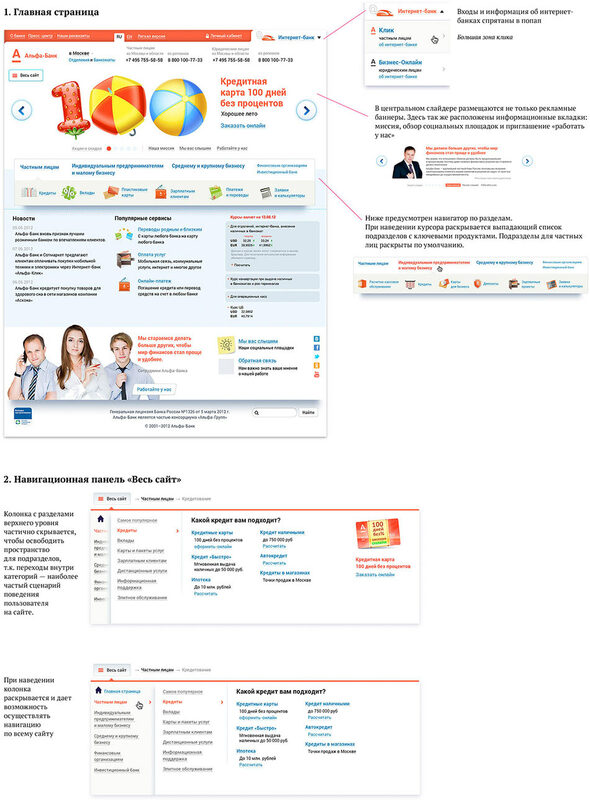 It’s been six years since the last large-scale renovation of the Alfa Bank website. It’s time to think about how we can refresh it again. Assembling a prototype. No. More drastic measures are required. Moving away from the rigid product-oriented approach. Starting to work from scratch thinking how a website would look if it was based on real clients’ needs: “I want a car,” “I want to purchase real estate,” “I need money,” etc. 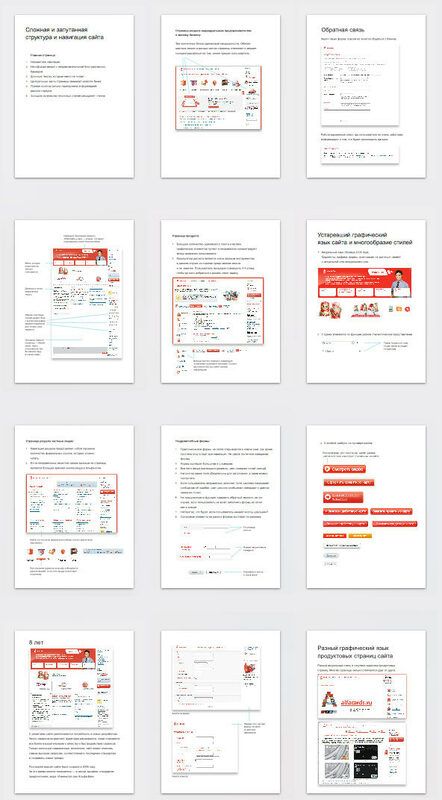 Developing the idea of choosing bank products. Taking the call center consultant scenario as an example: by sequentially answering a number of questions we get a solution to any situation. Simplifying the main page while keeping only the most important elements. The client likes the emphasis on specific needs instead of bank products and takes some time to think. It’s 2013. Getting back to the task. Changing the designer and having a fresh look. Understanding the problems of the current website. The navigation is too complicated, there are too many pages, lots of moving back and forth. 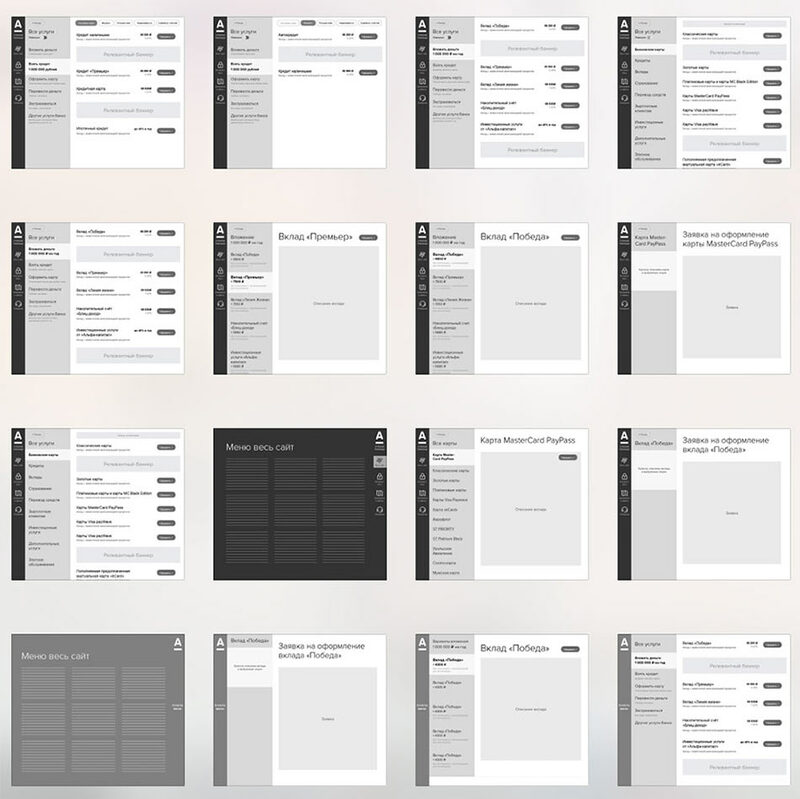 Deciding to make navigating the website simpler by killing all the navigation pages. The hypothesis is that it’s better to see specific offers and calcuations right on the main page. The client takes some time to think. All the suggested ideas still have elements of the old website. We need to try to get rid of them entirely and find a fresh solution. The art director suggests a concept.